This girl. Goodness gracious she is definitely at a challenging age right now! She is SO ready for preschool in a couple months and to play play play! Oh, but first, we need to x-nay the pacifier and potty train her... Parent fail. 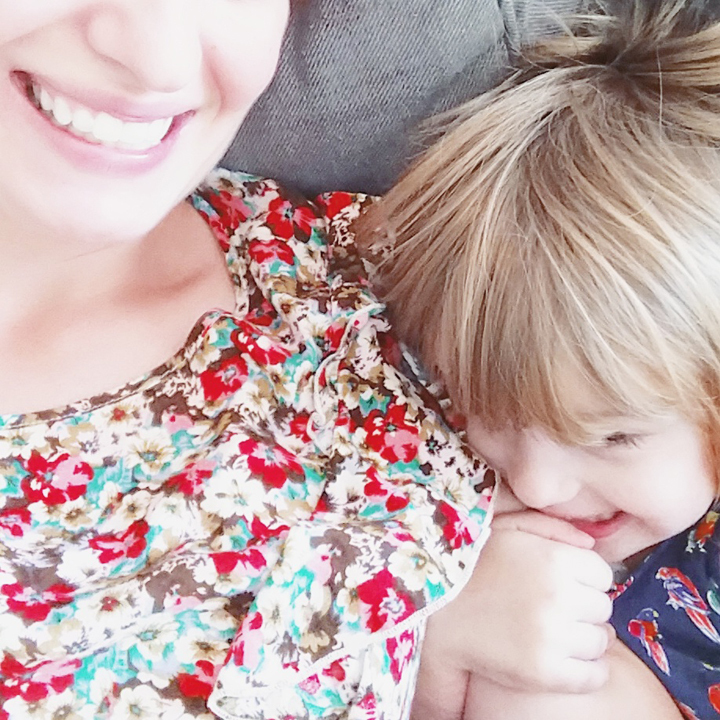 I'm definitely not perfect in the "mom" department, I will openly admit that. We spend a lot of q-time together every week day - 5 whole hours to ourselves! What are we to do but take blurry selfies?! Probably one of my favorite pictures of us. Her genuine smile is so sweet. And yes I know I need to dye my roots. It happens. Working on being more "present". Cherish even the difficult days, Paige. Before you know it, you blink and your baby girl is starting grad school! It's all kind of like looking back from a distance at pregnancy, labor and delivery. You vaguely remember it was pretty rough at times, but looking at those sweet, sticky smiles you'd do it all all over again in a heartbeat! I'm so there with you! 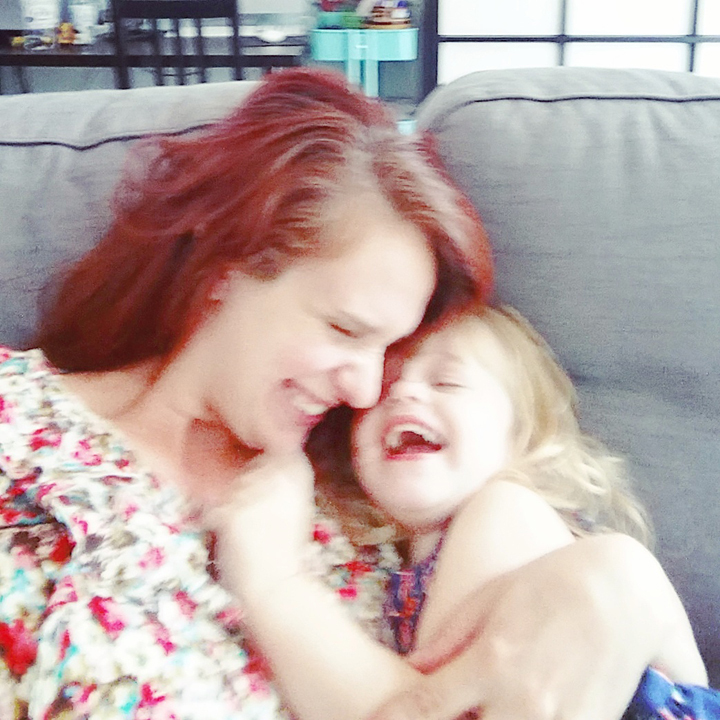 Everyone says 3 years old is harder than 2, but there are definitely days when I look at my almost-3-year-old and think, "How could this get harder???" Georgie's not potty trained either, and while she's not in a crib, I still haven't put the girls in the same room to sleep because being able to count on naps is my saving grace, too. No parent fails. 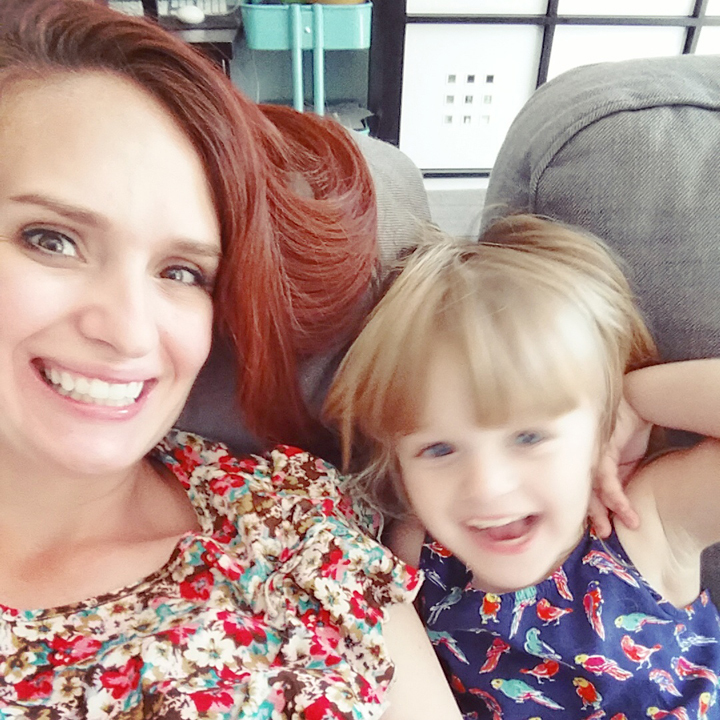 You are an awesome mom and you are doing and managing SO MUCH. You are seriously a rock star! Man I love you two!! !